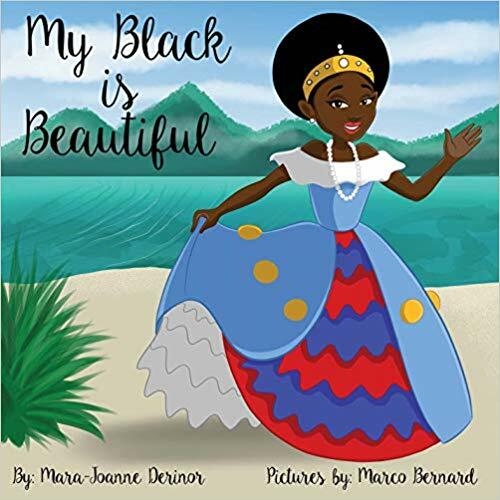 "My Black is Beautiful" follows a wonderful story that encourages young readers to see that beauty comes in all colors and in all forms. Through this heartwarming children’s story, the author wishes to teach each one about the value acceptance and embracing inner confidence to all her readers. Known as Belle La Poet, Mara-Joanne Derinor has given many contributions in poetry and fiction. She is a Haitian-American writer that channels her roots and experiences to create an inspiring story that aims to reach out and encourage young readers like her. Through this heartwarming children’s story, she wishes to teach each one about the value acceptance and embracing inner confidence among every reader. “My Black is Beautiful” follows the story of the young Princess Belle of Haiti and her little journey. Everyone is quite busy for the All Nations Princesses Tea Party to be held in her country. However, Princess Belle doesn’t seem to want to attend the party because she feels that she’s not pretty enough to attend the event. According to her, she is different than other princesses all over the world because of her skin and her hair. One day, the King sees that the young princess is sad. Through his wisdom, he makes Princess Belle realize that she is beautiful inside out; that her skin and hair is as beautiful as any other young princess all over the world. Thanks to the King’s words of encouragement, Princess Belle decided to attend the tea party after all. When she arrives at the party, all the other princess were delighted, happy, and in awe with how beautiful she was to them. In the end, they all adored her. Indeed, Derinor’s encouraging story is a perfect read that will remind readers that there’s beauty in everyone. “My Black is Beautiful” will soon join the upcoming Los Angeles Times Festival of Books on April 13-14, 2019 at the University of Southern California. Don’t miss it! Mara-Joanne Derinor, also known as Belle La Poet, is a Haitian-American poet, writer, songwriter, dancer, director, and choreographer. Her poetry and flash fiction has been recognized and published in Barry University’s Newspaper. Two of her poems written about the history and culture of Haiti titled “A People” and “Unity” were both published by Haiti: “Then and Now” (HTN) in 2017. Her poem “The Last Dance” and her choreographed ballet piece were featured in Indian River State College’s Dance Ensemble January 2018. She has been featured in The South Florida Sun. She is also a 2018 scholarship recipient of the Haitian American Nurses Association of South Florida.